Is the pressure to throw the perfect Pinterest worthy birthday parties for your kids stressing you out? 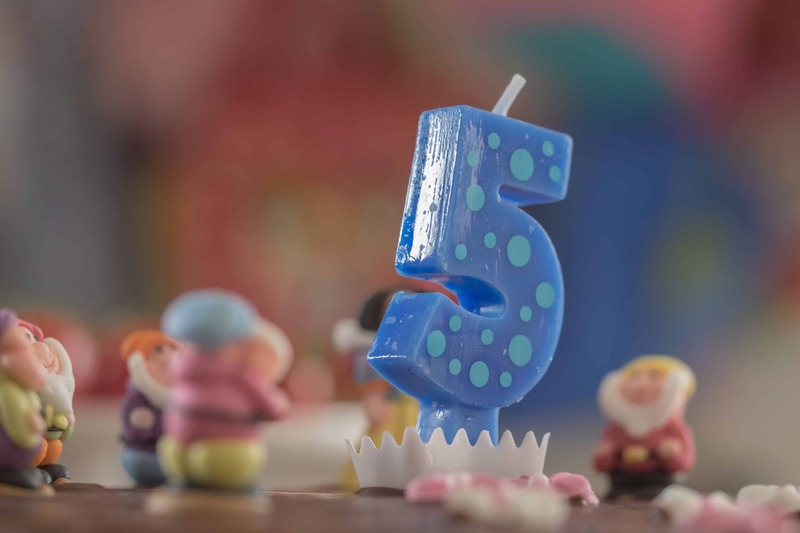 The following three reasons explain why milestone birthday parties are all your children need. Growing up I only remember having three birthday parties: one at 7, one at 13 and one at 18. Neither of them was super elaborate – no decorations, no theme, no DJ – and the latter two didn’t even have cake. They were really just large gatherings of my friends in one place at the same time. And only the party at 7 was really for my birthday. At 13 I had an end of summer going away party before we moved to Buffalo. It was half my sister’s also, it just happened to be near my birthday. And at 18 I had a graduation/birthday party. I didn’t turn 18 until school was already out, and most of my friends were going away to college shortly after my birthday. I had a large extended family that gathered for everything from birthdays to holidays. Parties weren’t really necessary. But when I had my own children we lived nowhere near any family. Ensuring they were happily and heartily celebrated for their birthdays was important to both Harold and me. But after The Boy’s 7th birthday party cost us upward of $400 and he only played with the two of the 10 toys he received, I knew something had to give. So we opted for milestone birthday parties: 5, 10, 13, 16 and 18, with an option for a graduation party instead. My kids are happy and love the parties they’ve had. Save yourself the stress and consider the following reasons why only throwing milestone birthday parties works. From age three the age seven, The Boy had a birthday party every year. Each year we spent at least $300 on a venue, cake, decorations, invitations and the like. Over $1000 went into celebrating 4 days. And that was 10 years ago; now you could easily spend that amount on just one party. While milestone birthday parties can still be just as costly, you’re able to spread the cost out over time. We do still acknowledge birthdays each year with a special dinner of their choosing, but we would eat dinner anyway. You can plan and save up for the kind of party you and your kiddo want. But seriously, annual birthday parties, while seemingly harmless, can be the start of an entitlement complex. With all the other battles of raising Generation Z – materialism, technology addiction, cyberbullying and more – ensuring that your child doesn’t expect things “just because” can get a little overshadowed. I don’t want my children to feel slighted, unloved or unimportant if no one celebrates their 23rd birthdays with them. I am planting the seeds for that now. For both Olivia and Alexandra’s 10th birthday parties we incorporated community service and giving. Curb the entitlement and teach compassion with a service focus. My favorite part of only throwing milestone birthday parties is the time I get to spend with each of my children deciding how to make their day special. I would guess Trevone doesn’t remember any of the parties we threw him from age 3 to age 7. But we all remember his 10th birthday party. It was football themed. He wore his little league jersey, invited all his teammates over, we had “game watching food,” and a football-shaped cake while they played Madden and watched football. Alexandra’s 10th was superhero themed. The guests wore costumes, played SpiderMan Twister and Capture the Villain, and ate themed cupcakes with Krunch and Punch! Making the plan for the memories they want to have was not only an important part of our milestone birthday party strategy, but it also gave me time to bond with my children. Do you throw birthday parties annually? Could you adopt the milestone birthday parties approach in your family? My daughter’s 5th birthday is in a few weeks and I’m feeling torn on the whole party thing. I am not a fan of big parties. She had one when she turned one. Five is a milestone but right now I am planning a small gathering with five of her friends who happen to be five years old too. I feel like that’s perfect but a part of me feels bad because it leaves out a few friends and some family members. I just think the gathering of her friends would be more memorable for her. But milestone birthdays are definitely the way we will be going from now until all the kids turn 18. I read once – by a psychologist with way more education than me – that the number if children you invite to a party are equal to the age of the child. So you’re on the right track. Do what works for your family. Obviously the older they get, the more cognizant they are of who comes and who doesn’t. She’ll love whatever you do.